How many Lazairs can you spot ! One sure looks like Chappy's ! Yes, it is. I wouldn't have been in the air if Dale Kramer hadn't given me an engine to steal the cylinder off of. One of my engines had cracked three quarters of the way around the head/cylinder while flying a few days earlier near Port Charlotte. The Lazair at 3:57 is, I believe, Dale in a factory machine that was covered in silver metalized Mylar. That was at a Lakeland fly-in where an aileron fell off the plane and Dale landed off airport to retrieve it, then waved down a motorist to take it back to the UL airfield for him. I remember seeing the chrome-like aileron sticking up above the crowd as the fellow walked around trying to find Dale. I've emailed Chuck for info on the full video, and I'll post any I get here. Thanks for the heads-up! He says the video should be done by Sun 'n Fun and he will be there. He has a lot of Lazair footage and about 5 minutes of interviews with Dale Kramer that I assume some of which will be included. No price yet. Video is now available ! Anyone get a copy yet? I ordered one this evening ($20US plus a few bucks shipping). After the pitiful Ultralight showing at Sun 'n Fun this year, I really need the tape, but not sure it will make me happy to watch it, or sad, with Ultralighting fading away here in the States. I got my copy and it was neat to watch. Couple of short but good Lazair shots in there. As I watched the video it reminded me that many Ultralights (REAL ULTRALIGHTS) really didn't die per-say they just evolved into airplanes. Many of the airplanes in the video (and Dave Loveman's You Tube vid) were/are in actuality illegal "Experimental Aircraft (US)" rather than "True Ultralights". Like I have to tell you that. Basically as you know the original dream was lost (due to the faster-higher race) and now we have the final product of the evolution (Sport Aircraft). WOW ! they re-invented the regular airplane and have the costs to prove it. I think it's time to start anew and for us to get the terminology correct. Ultralights (US 103'ers) are not airplanes (or experimentals or Sports ) and we should start making the distinction. Spread the word where ever you go and take issue with any non-believers. I personally do not want my Lazair to be called an airplane. It's either an Ultralight or Vehicle...Haa Haa ! Do not lump me in with the problems and illness of General Aviation, Experimental Aviation, Sport Aviation or any of that other nonsense. 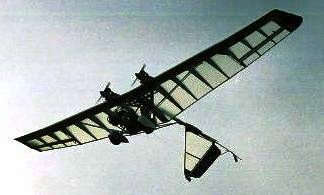 The Lazair Ultralight always was and remains a winner. For me Ultralights are alive and well ! I failed to mention that you will like the beginning (you flying over) and the factory Series III EC being put through its paces. You know not everybody has their very own EC Lazair they can eventually put through its paces....jealous ! Got my copy the other day too...man was it cool. Like Shannon, I was drooling all over myself when that EC was doing it's thing. Wish i had one of those.